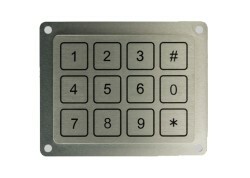 Description: Touch Metal 3×4 Piezo Keypad, rear mounted measuring 73x93mm with 4mm mounting holes. Metal housings are machined, one piece construction and 9mm thick with permanently anodized graphics and completely potted. 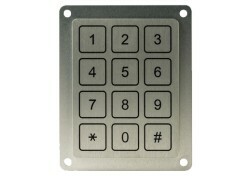 Connection is via flat cable or pins and standard output is matrix or common bus. 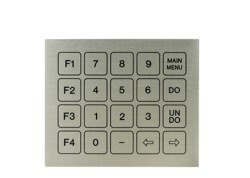 Description: Touch Metal 4×4 Piezo Keypad, front mounted measuring 93X93mm with 4mm mounting holes. Metal housings are machined, one piece construction and 9mm thick with permanently anodized graphics and completely potted. 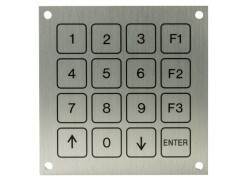 Connection is via flat cable or pins and standard output is matrix or common bus. 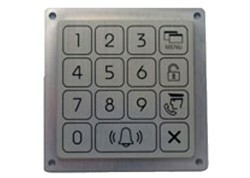 Description: Touch Metal 4×4 Piezo Keypad, rear mounted measuring 93X93mm with 4mm mounting holes. Metal housings are machined, one piece construction and 9mm thick with permanently anodized graphics and completely potted. Connection is via flat cable or pins and standard output is matrix or common bus. 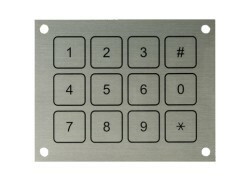 Description: Touch Metal 4×5 Piezo Keypad, front mounted measuring 93X112mm with 4mm mounting holes. Metal housings are machined, one piece construction and 9mm thick with permanently anodized graphics and completely potted. Connection is via flat cable or pins and standard output is matrix or common bus. 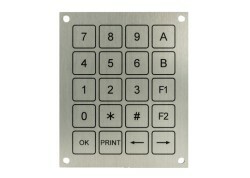 Description: Touch Metal 5×4 Piezo Keypad, front mounted measuring 112x93mm with 4mm mounting holes. Metal housings are machined, one piece construction and 9mm thick with permanently anodized graphics and completely potted. 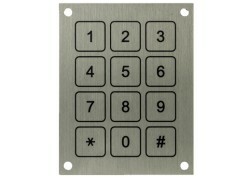 Connection is via flat cable or pins and standard output is matrix or common bus.